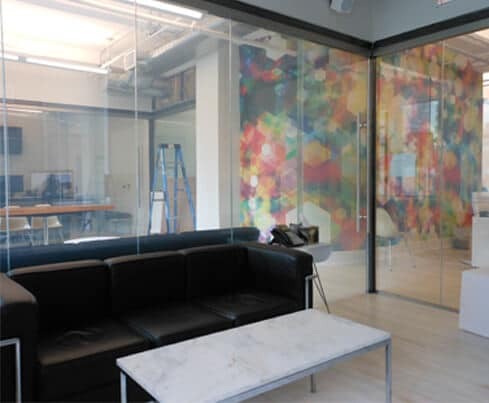 This Manhattan based Company wanted a breathable office space with an open layout. They wanted to keep solid walls to a minimum and incorporate as much glass as possible, however they were skeptical about lack of privacy regular glass would offer. 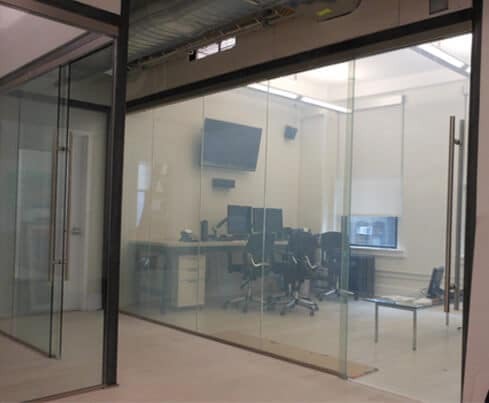 eGlass brand switchable LC Privacy Glass was their solution and was used for several dividing walls throughout their space. 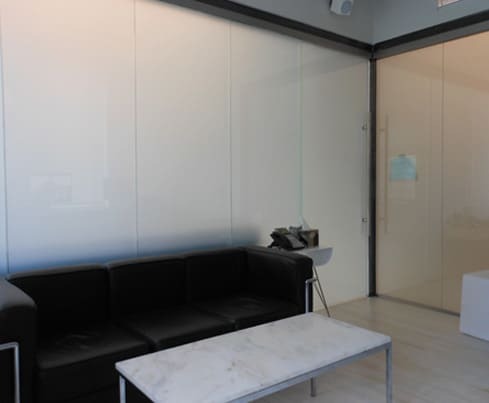 By using LC Privacy Glass, the office is able to maintain an airy feel with the option of instant privacy on demand. 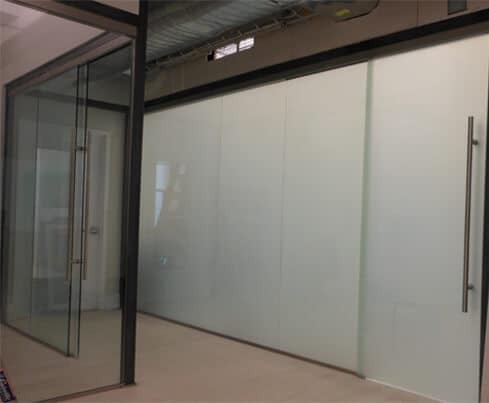 When powered, eGlass panels are clear, allowing full view & daylight to pass into the work & reception areas. 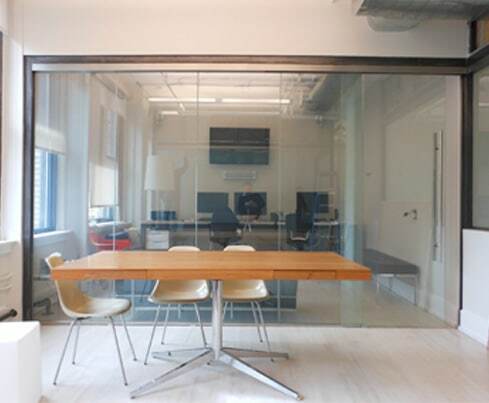 When unpowered, the glass is frosted, creating 100% privacy for meetings. Although private, diffused daylight is able to be harvested from the exterior windows and still passes through eGlass into the common areas; therefore reducing the need for artificial lighting.